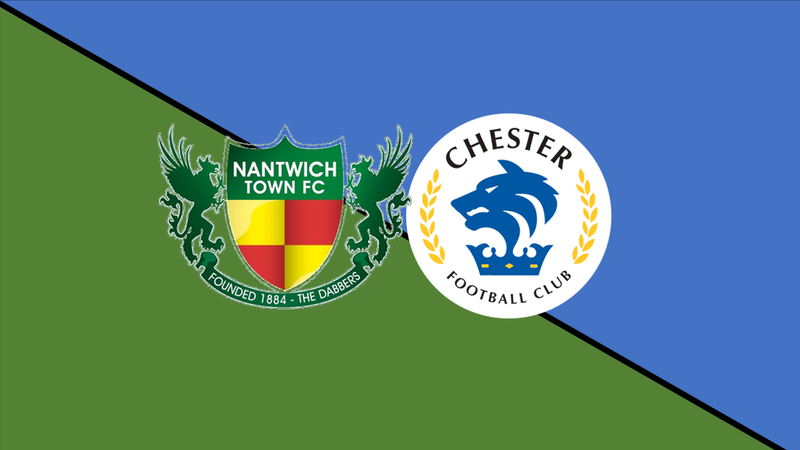 Focus turns to the Cheshire Senior Cup this evening for the Blues, as they take a trip to Nantwich Town in the Quarter Finals of the competition. The Dabbers are the defending champions, with a 3-0 Final win over Stockport Town last year. They beat Crewe in the previous round, whilst the Blues were 4-0 victors away at Winsford. Dave Cooke’s side are chasing promotion in the Evo-Stik Premier – sitting fourth in the table as things stand. They are just six points behind leaders Warrington Town as the season reaches crunch. Anthony Johnson and Bernard Morley’s side meanwhile have an opportunity to bounce back from three successive defeats; and advance to the Semi Finals with a shot at silverware. Kick off tonight at the Weaver Stadium is 7.45pm. The Sat Nav postcode for the stadium is CW5 5BS. Can’t make the game? Well the Blues have got you covered tonight!